A mother cradling her newborn, the quiet back and forth motion lulling baby to sleep. Grandma reading a favorite childhood book to an eager toddler. 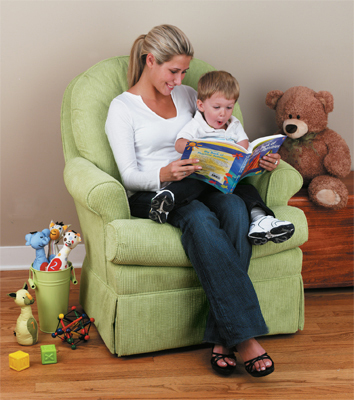 Storytime series glide rockers and recliners are designed to provide outstanding comfort and durability. Our specially engineered mechanism achieves a smooth “long glide” operation. All Storytime products are built with the BEST attention to detail and quality materials guarantee worry free long lasting operation.